I had to come to Kuala Lumpur to eat Western food. I'm not referring to the hamburgers and barbecued ribs that I grew up eating in the, um, West. Neither am I alluding to the Weiner schnitzel served in Thai beach towns to sunburned Germans unable to countenance another bowl of curry. Nor to the mutations of spaghetti Bolognese and cream of corn soup found in Hong Kong's sai chan (Cantonese for 'western food') shops. I mean those decidedly non-Asian, yet thoroughly Malaysian culinary stalwarts like chops, mushroom soup, and chicken Maryland: the Western food prepared pretty much as Westerners might prepare it (if they still did), that is as integral to the Malaysian gastronomic experience as nasi lemak and char kuey teow. KL-ites take these dishes for granted. After all, here in the Klang Valley restaurants, kopitiam, and hawker stalls offering fish and chips et al are as plentiful as traffic snarls. 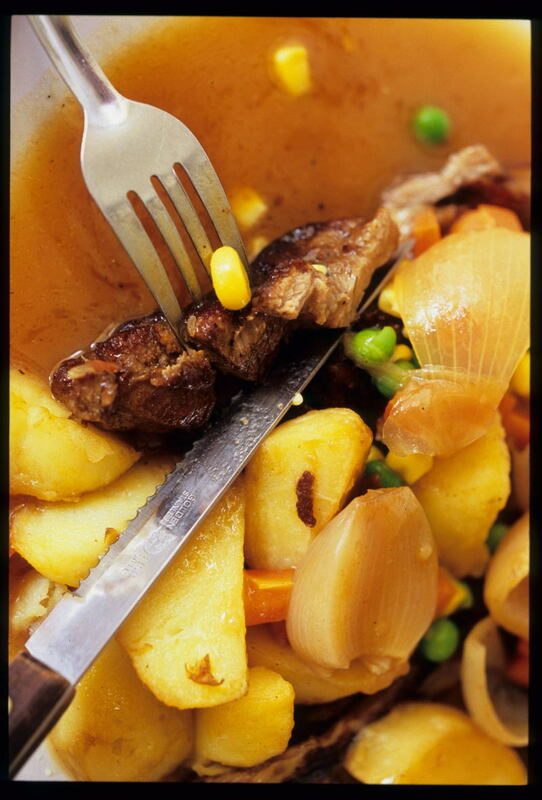 To a Westerner, however, some of this Western food is surprising, and really rather foreign. Maybe it's because these dishes are caught in a time warp. Western restaurants in the West stopped serving classic sauced chops accompanied by peas and carrots when bell-bottoms were fashion news (the first time around, that is). And chicken Maryland? Most Westerners under the age of 50 have never heard of it. This bizarre combination of chicken and fried bananas, which probably made its way from America (though not necessarily from the American state of Maryland) via Britain, appears on a British pub menu included in the 1953-54 edition of the UK's 'Good Food Guide'. Of course, KL isn't the only city in Asia where one can find out-of-date Western food. 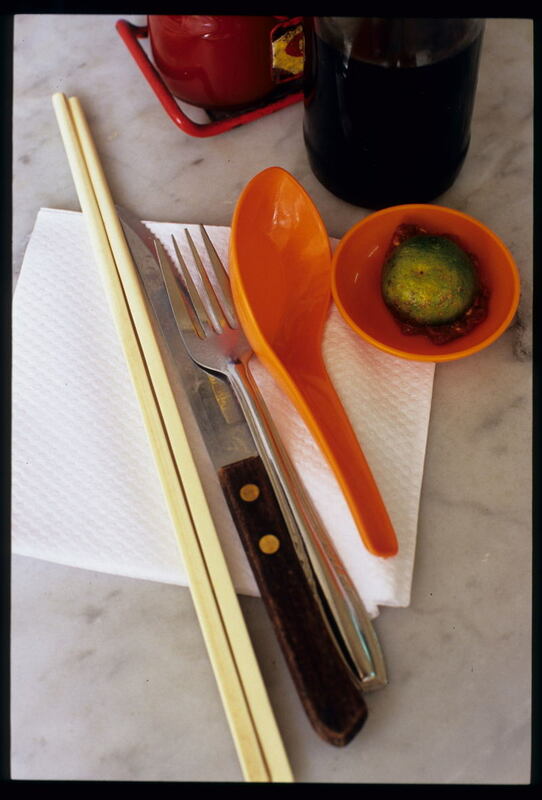 With the exception of Singapore, however, Malaysian-style Western food is unique in the region. Malaysians owe chops and the like to colonization and immigration. The British introduced these dishes, but it was Hainanese who took them to heart. Chinese migrants settled in Malaysia in waves. Cantonese and Teochew arrived first, had their pick of jobs, and ended up controlling many industries through clan associations. Hainanese came later, and many ended up working as cooks for foreigners, garnering experience that they later put to use in their own businesses. Which goes far to explain why Malaysian Western food, unlike that found in Hong Kong, is so, well, Western. It's not indigenized, not altered with Malaysian ingredients to appeal to local palates. You'll find no sambal in the mushroom soup, no kalamansi juice in the gravy. Western food was as much a part of the Malaysian immigrant experience as tin mining. 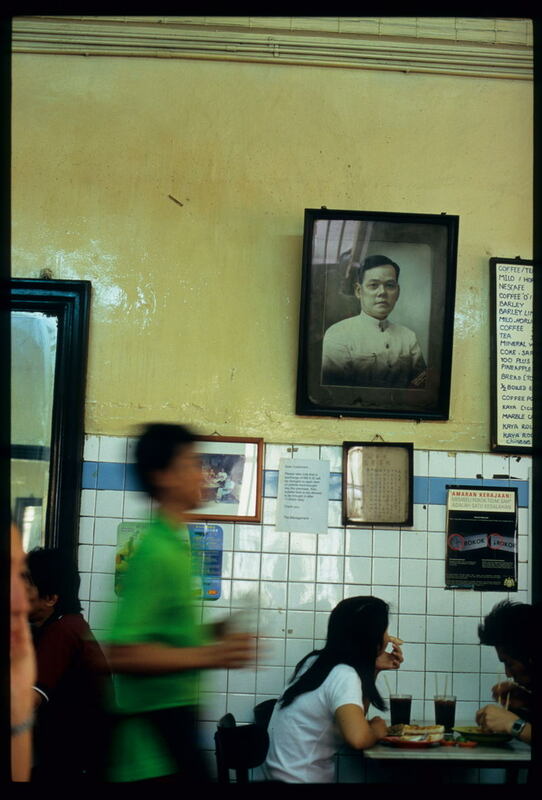 Hainanese cooks took pride in serving, in their own restaurants to other immigrants, dishes that tasted as they would have if served in European homes. They took ownership of these foods - not by altering ingredients, but by replicating authentic flavors - and made them Malaysian. Contrast the Malaysian chop, with its oh-so proper accompaniments of diced vegetables and roast potatoes, all smothered in a Worcestershire-based sauce - to the violations perpetrated against Western food in Hong Kong's old-style sai chan houses. Wok-fried pasta with meat sauce and borscht seasoned with soy may be tasty, but are about as 'Western' as American-style chop suey is Chinese. But that's OK. Canto-Western dishes were never meant to be truly Western. Introduced only four or so decades ago, they were Sinicized by local cooks for local customers, served in local-style eateries, and priced to local pocketbooks. Unlike the earliest versions of Malaysian Western food, these dishes were never meant to be eaten by Westerners. Given its limited role in Hong Kong's culinary history, it's no surprise that see yau sai chan (literally, 'soy sauce' Western food) has become an endangered species in the SAR. But here in Kuala Lumpur, Western food is as beloved as ever. Back in the day, pot pies and fish and chips owed some of their popularity to cache. 'The attraction was that it was 'Western',' remembers KL native Cheong Soon Gan of the chops he enjoyed as a youth. They're no longer status symbols, but neither are these dishes in danger of extinction. Witness the growth in recent years of nostalgically-themed coffee shops throughout the Klang Valley. Head to Old Klang Road where Tan Tun, an immigrant Burmese hawker who learned to cook Western food from a Chinese Malaysian, does a steady trade in mushroom soup and chicken chops. Or drop by the Hainan-pedigreed Yuk Kee around lunchtime any day of the week and count the number of under-thirty-somethings tucking into a fry-up. In Kuala Lumpur, food fads will come and go. But Western food has staying power. Yumyum. I still yearn for a good steak tenderised by pounding on it with the back of a cleaver and seasoned with pepper and worchestershire sauce. Fried in a wok of course. Served with a sauced made from chicken stock and canned mushrooms. Hold the peas for me. After bad experiences eating "modern" Western food, I was suspicious of eating any Western food not actually prepared by Westerners. I've seen those Western food hawker stalls in Penang but I wasn't interested. Who would be, with all that CKT and assam laksa to eat? Cupcake - I draw the line at canned mushrooms. And I'll always take the peas! Nate - we were skeptical too. It took us over a year to try 'Western' food here in Malaysia. Horrid versions abound, of course, but the good ones are really good - I give a big thumbs up to Yut Kee's nicely pan-seared, yet perfectly tender and not overdone lamb chop and roast potatoes with their crispy, golden crust. Of course, visitors probably wouldn't want to waste a meal on something they could get at home ... but for us residents who can have CKT and assam laksa any old time, sometimes a chop really hits the spot. you must have been to the Coliseum for their steak already, right? The Hainanese excel in cooking Western cuisine and there is no doubt about this. In fact this can be traced to their historical dominance of running rest houses and clubs during the colonial times when they had to cook for the British guests and their families and friends. When I was growing up, everyone in town who wanted a excellent chicken chop just had to drop by the rest house restaurant. And that was just a small fringe town in Pahang. You could find the Hainanese elsewhere in similar positions, in the Sentul Golf Club for instance. In the Cameron Highlands and Fraser's Hill, apart from being in charge of the rest house, there were a number of Hainanese caretakers of bungalows. They also cook for their guest and certainly have an excellent reputation for their cooking skills, including western food. Greetings from CS' HK-born, wok-spaghetti loving wife. (Don't hold it against me; he doesn't!) Just wanted to echo the comment on Hainanese caretakers of Cameron Highlands bungalows. We stayed a week at one a couple summers ago, and the food! the food! was among the best I've ever had anywhere, running the gamut from Chinese to Western. Every meal (and there were four or five a day) was an eagerly-anticipated treat for my foodie in-laws and me. The man (and his family) could cook! It would be worth a trip up there -- dining on fresh vegetables straight from the farms in a temperate climate is as close to SF Bay Area living as one can get in Malaysia. Thank you for your blog! Cynthia - thanks for your patronage and regular comments! bayi and Jennifer - any bungalows in the Cameron Highlands, in particular? Just a thought. Have you been to Cozy's Corner in Ampang Park? Jem, we don't know the place. Is it in Ampang Park shopping center? What do you recommend there? The place that I mentioned is in the Ampang Park Shopping Center. Couldn't remember what floor it is on, maybe 2nd or 3rd floor. That place is packed during lunch. They have opened a new outlet in Great Eastern Life Insurance Building in Jalan Ampang. I ordered steak the last time I was there. But of course the waiter could always recommend you the house favourite. Yut Kee is a local institution and an ode to colonial times. Much like how Coliseum Steakhouse is too. The sound of Coliseum's sizzling steak still makes me salivate. Personally, I've found Yut Kee's standards have declined in recent times. Perhaps this could be due to the changing of guards in the kitchen. Anyhoo ..... they used to serve excellent Brit-style pies. Not sure how they are these days. On my various trips to KL i have frequented the local eateries with local food which is splendid. However on my last visit I was taken to the restaurant pictured by my lovely malaysian tour guides. It brought back memories of my mothers cooking, which some may take as a compliment, however my mother was a terrible cook. Well, what can I say. I was just at Yut Kee earlier this month - twice, in fact - and found the food to be delicious as always. The shredded pork in the roti babi melts in the mouth, the kaya is rich and coconuty, the belecan fried rice deliciously fishy with plenty of char, the lamb chop tender and nicely seared. Everytime I go the place is packed out with locals, young to old. Either you had a singularly bad experience or I and a whole lot of KL-ites don't know horrible food when we taste it. Your blog is fascinating! I'm Anglo-Indian and grew up eating dishes like crumb fried chops, liver and kidney curry, bone marrow soup, mullagatwany soup and lamb dry pepper fry, HP steak sauce and worcestershire being favourite accompaniments! All these typically colonial foods of the Raj have similarities with colonial Malay cuisine! I never knew this part of Malaysian cusine or culture existed!